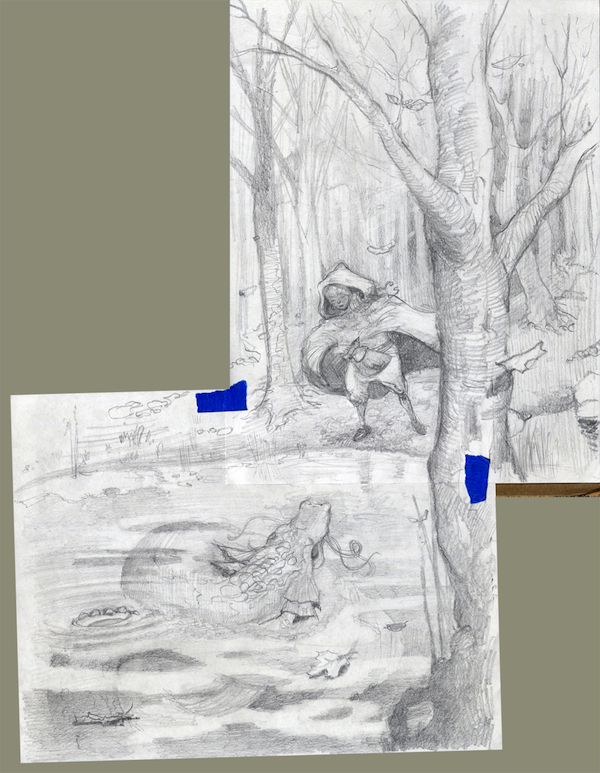 One never knows what images might be revealed by rubbing graphite over paper late at night! Over the course of the holidays in December, I found myself in front of the drawing table with a little free time on my hands. How, you may well ask, do I like to relax and spend my free time? Why drawing of course! Check out my blog post for more drawings, and poetic flights of fancy!